Organised athletics in New Zealand originated in the 'rural sports' events held at anniversary-day fêtes and other celebratory occasions from the 1840s. 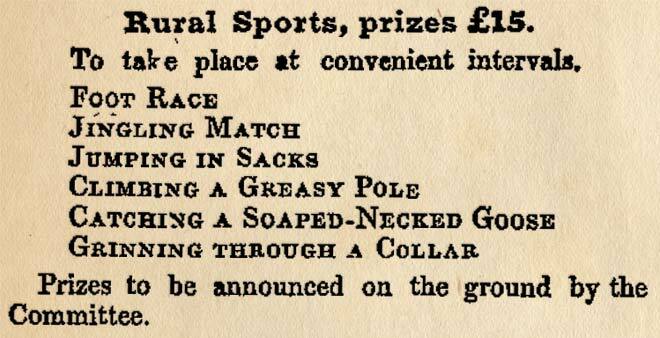 Rural sports included events people living in the 21st century would recognise as athletics, including foot races, but also more comical contests such as catching a soapy goose. All these events attracted cash prizes.